Were the NBA Finals Enough to Last a While? They might have to be. The 6-game series between the Dallas Mavericks and Miami Heat keep hoops fans on their toes. Close games, questionable calls, theatrics-- everything a fan could ask for in basketball and entertainment. Well, with the draft now over, this may have to hold us off for a while. As reported earlier this year, if the NBA Players Association and league owners don't come to a new collective bargaining agreement sometime soon, a 2011-2012 season could be shortened, or even cancelled. The problem here is, of course, money and how it is to be distributed through teams, players, staff, and stakeholders. If no agreement is reached by June 30, when the current deal expires, we'll be in a lockout as of July 1. Owners are finding themselves in similar situations as many companies in our current economic climate. Revenues are down, and despite working in the million to billion dollar range, losses are losses. 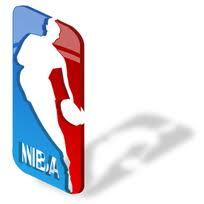 As a matter of fact, 22 NBA teams are operating in the red, with a combined league loss of about $300 million! Sounds worse now, huh? If a lockout ensues, a number of things will begin to go before the season itself is compromised, hopefully while negotiations are continuing. Summer league play and rookie development would go first, followed by teams' inability to sign free agents and make trades to create more dream teams for next season. Next, would come abbreviated or cancelled training camp, and then yes, the season. Of course we are all hoping it does not get to this point, and negotiations are in high gear to avoid this happening. After all, there will be new head coaches looking to get acclimated to their teams, implement their systems and coaching styles, and have a hand in preparing their teams for an 82-game season. Detroit, Houston, Los Angeles, Golden State, Indiana, and Toronto are all facing this situation. Players want their cut of revenue shares, as they rightfully feel they are the ones filling the seats. Owners need to cut shares because of the losses teams are experiencing, like every other segment of the economy. Who's right, here? How can they make up deficits with a shortened season or none at all? Stay tuned for updates on the fate of the NBA as we await more news. Were the finals enough for you?